Tom H. C. Anderson is the founder and managing partner of Anderson Analytics, a full-service market research consultancy that takes a “next generation” approach to research by fusing advanced analytics and traditional methodologies with leading edge technologies. Named the “Uncrowned Father of Web 3.0 Market Research” (Research Business Report, 2009), Tom is also a prominent blogger, recognized authority on social media, and the founder of Next Gen Market Research (NGMR), one of the most active networking groups for market researchers on the Web. Tom served as the elected U.S. representative to ESOMAR in 2010, an international professional association for market researchers and is chairman of the Foundation for Transparency in Offshoring (FTO). You can follow Tom on Twitter , Linkedin or Facebook. T: Anyone who is active on a social media channel of any sort is an influencer. Conversely, they can also be influenced to some degree. Obviously some have a much wider reach and are also more well respected (likely to be listened to). Bloggers have the added importance of having whatever they say be ‘evergreen’, well perhaps not always pertinent, but whatever they’ve said can come up in a search engine result anytime. So to me, and more and more savvy marketers, influence is defined on a sliding scale. This is what services like Klout.com are attempting to measure in a somewhat simplistic way. T: Depends on the specific media source of course. If it’s a blog, actual traffic as measured on sites like compete.com, Alexa.com (neither usually too accurate) etc. are good. What you have to keep in mind when you look at a site like Compete.com though is that depending on the provider and host of the blog it may not be giving you just the statistics for actual readers of just that single blog, but the stats for everything on that specific domain. I’ve seen some of the blogs in my industry get an unfair boost because of this. If the blog is hosted as part of the same domain as the rest of the information and service offering of a large company, trade directory etc. then often this other traffic not pertaining to the blogs popularity can get counted. Sometimes even their survey traffic benefits their traffic and SEO (relevant for issue for me as I’m in the market research industry). My blog is totally separate, for better or worse, so I don’t benefit for these errors in measurements. Though I sometimes wonder if I should have run my blog off of www.andersonanalytics.com domain rather than www.tomhcanderson.com to take advantage of some of these scale benefits. However I realized that having them separate allowed me a lot more freedom in terms of content etc. As for Twitter, well clearly Followers are a pretty good indicator of influence. Arguably, even better than followers on twitter is # of times listed. A combination of these two metrics is better of course. After that, re-tweets etc. However, I find that these secondary level metrics such as “re-tweets” contains a lot of errors. Some of the accounts with the most followers, such as my account on Twitter is often not captured in the public timeline. This can happen for various reasons. Suffice it to say, that the most influential on Twitter are sometimes even more influential than you think, because a lot of the ‘re-tweets’ etc. do not appear in the public timeline and Twitter search tools and therefore is not counted for these most influential users by services like Klout. Engagement, is certainly important. PostRank is trying to measure this across a few channels. They and many other services connect to several social networks including Twitter, Facebook and even blogs. I know they are working on adding LinkedIn currently. The most influential of us though a are clearly not active only on a single network, but across multiple networks. Just like a luxury product goes well with another luxury product, so do different social media channels This way they take advantage of both Reach AND Frequency. T: Depends on what you’re targeting them with. But generally I would say you need to appeal to them. If you want them to do something, you need to give them an idea of what’s in it for them, without being offensively obvious about it. The fact is that you need their help more than they need yours, so you have to be political about it. Secondly, a canned message rarely works. If you truly want to get them on your side, you better let them know that you actually are a fan and know what they are about. G: Do you think targeting influencers is overrated or is it an important part of Social Media Strategy? G: What are the trends that you are following at the moment and feel most passionate about? T: I follow Text Analytics and Data Mining in general, also in terms of social network analysis Link Analysis, CRM Analysis are also of great interest. Web tracking is another area. Finally, widgets and other applications have yet to be truly leveraged in my industry. 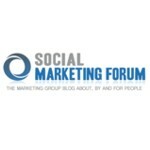 G: How the growth of social commerce will affect marketers? Why is it important? T: We’ve always been interested in WOM. Now we can actually see it in real-time! T: Same way, but in real-time everywhere, globally! T: Certainly, there is a way to leverage social media and social networks specifically no matter what industry you are in and no matter whether you are on B2B side or B2C side of business. Additionally, in an area that is as dynamic and fast paced there are tremendous first mover advantages. T: Time is money, so there definitely is a huge cost to doing social media marketing right. That said, when you really think about it, there is no better marketing ROI out there if you are doing it right. Also it’s easier to measure success than with other marketing methods. T: I’ll check out new sites from time to time. Was just checking out a site called Plurk.com yesterday. We do a lot of research among youth, specifically college students, and we always ask what sites are their current favorites. This research along with reading Wired etc. helps me keep on top of things. Also, when you have as many connections as I do, you get fed a lot of relevant and interesting information through these connections. I just have to be careful in balancing time allotted to this part of the business. G: Is sharing becoming a form of showing gratitude to your peers rather a relevant metric? T: I suppose that enters into it a little, but probably less so for me. I figure you are building a brand. I feel as part of that you have an obligation not to retweet something you don’t feel is of interest to you. So yes, I read, or at least scan everything I tweet. If I tweet something or post something its usually because it’s of interest to me. I think my followers know that, so why would I break that trust. Then it just becomes aggregation spamming, there’s so much of that already, and what’s the fun in that? G: What are your favourite social media campaigns? T: I liked Crispin Porters ‘Facebook Unfollow’ campaign for Burger King a few years ago. I think any company that does something interesting, takes a risk, is doing it right. Those who worry too much, or start into a long apology if just a few verbose ‘influencers’ are offended (Absolut and Chrysler are examples of this), don’t get social media. You have an obligation to understand which of your customers are on a certain social media channel, listen to them and give them what they want. What you say on that channel can be different from what is said on other channels. It’s called Segmentation for goodness sake!